We are a 5 year old professional photography services company, specializing in Wedding, Candid Wedding, Hindu Wedding, Muslim Wedding, Christian Wedding, North Indian Wedding, South Indian Wedding, Indian Wedding, Bridal Portraits, Couple Portraits, Pre-wedding Shoots, Engagement, Reception, Marwadi Wedding, Gujarati Wedding, Bengali Wedding, Tamil Wedding, Catholic Wedding, Maharashtrian Wedding, Theme Wedding, Concept Wedding and Destination Wedding photography. We offer products and services such as Photobook, CD / DVD, HD Highlights and HD Videos. We accept customized photography requirements. Our studio is in Pune. We cover events in Maharashtra, East India, North India and South India. We are comfortable communicating in English, Hindi and Marathi. Beautiful pictures,right from start like locations,clothes,poses to delivery of pictures.This guy is totally creative and takes it to new level,he has unique tocuch to every picture,every picture depicts the natural tone which matters alot than having artificial appearance. If you are looking for a wedding photographer then look no further than Abhijeet. We found Abhijeet to be a professional, creative and very entertaining photographer. The lengths he would go to, to get that perfect shot is a rare find and something that should be commended.Truely he nailed with his skills on our wedding day,each and every picture is cherishable for lifetime. Abhijeet and his team did a great job in capturing our wedding memories, a priceless possession of pics, wedding film and album which will be cherished forever. Right from the time of our first meet with Abhijeet to pre-wed photoshoot to wedding day to deliverables, entire proceedings was very professionally and excellently executed by Abhijeet and his team. Abhijeet is quite passionate about his work, possesses great photography skills, delivers quality and quite flexible according to client's requirements. Surely check his work, it speaks for itself. Weddings are not like movie shoots where you can have retakes, so I would surely recommend Abhijeet and his team to capture your precious memories and you can sit back and relax. It was an absolute delight to have Abhijeet to photograph our wedding, he was calm and charming throughout the whole event and took stunning photographs which we will always treasure. He was discreet and polite, but also knew how to raise his voice and take control when needed. Just what we wanted. We couldn't have asked for more in a photographer and would highly recommend him. Photography was something I was willing to spend a bit more on for our pre-wedding because those pictures capture the memories that are forever. Abhijeet is a great guy to work with and we're very pleased with our decision. I would recommend him to friends and family. I have nothing but great things to say about Abhijeet and his work. If you want your pictures to be original, creative and artsy look no further. Abhijeet’s expertise and imagination shines behind the camera. His mind is constantly searching for different shots to ensure you have a plethora of perfect pictures to choose from. It was a pleasure to work with him. Abhijeet did a great job. Communication was great and we received all of the photos that we asked for. So glad we decided to go with abhijeet! Great pictures! Awesome and superb! Thank you for your superb work, we are truly amazed by our wedding photos. The photos are absolutely beautiful.You were so professional and discrete and yet captured so many beautiful moments.Your sense of calm, care and fun meant that you were a pleasure to work with and we are so happy with everything! We just can't believe how well you captured the day! We love every single one! We can't stop looking at them! Thank you so much for being brilliant and fabulous on the day. Everyone is raving about you! His style is exactly what we were looking for – beautifully crafted, artistically awesome photos. He captured every special moment from the day and was so incredibly unobtrusive you barely knew he was there. We love the photos so much, and would 100% recommend him. An absolutely SENSATIONAL experience working with Abhijeet. He is a true artist and master of his work. Emphasis on Artist! He takes prewedding photos to a whole other level. We've never had so much fun playing in and chasing light as we did with Abhijeet. The photos were just beyond anything we could have imagined. We have done prewedding photo shoot done from him.The pictures are super awesome.Closeups ,couple landscape in every aspect he full filled our requirement. 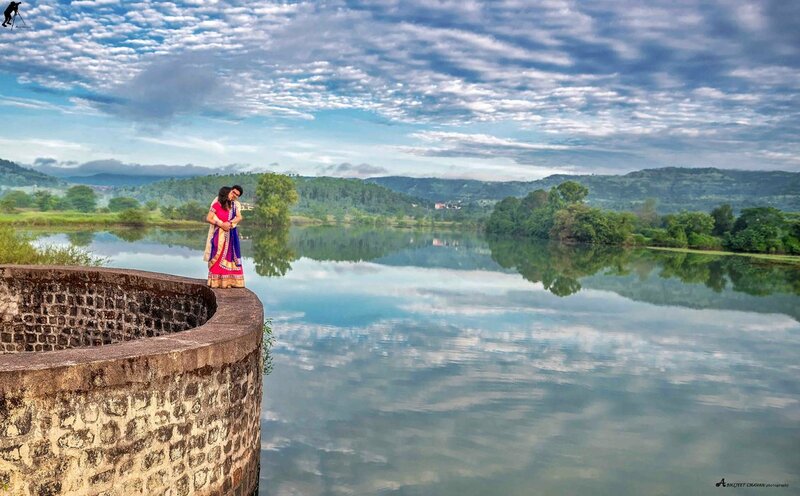 Your message was successfully sent to Abhijeet Chavan Photography. The Photographer may contact you soon.